Hello, Spartans! 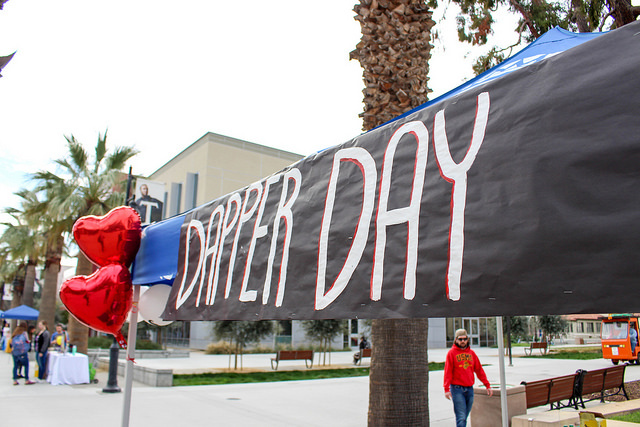 March marks the beginning of spring and many exciting opportunities from Associated Students! 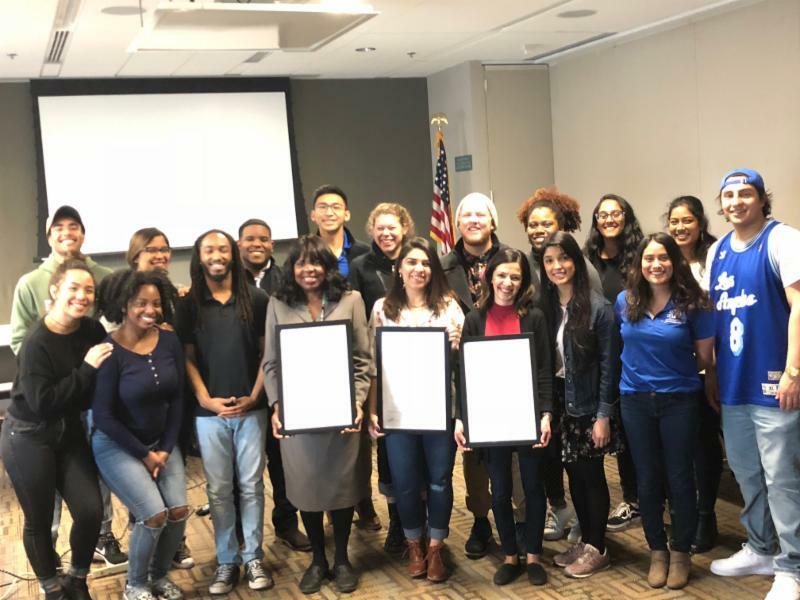 Recently, the A.S. Board of Directors passed a resolution to commemorate the exceptional service of Donald R. Ryan to SJSU. He was A.S. President from 1957-1958. As a fellow Spartan, he not only gave back to our community, but administered the first federal student aid program, as well as chaired several finance-related services. Donald R. Ryan embodied SJSU’s core values of equity and inclusion by being the first director at SJSU to hire women. His exceptional service has had a long-lasting impact on our campus. Speaking of exceptional leaders, you will have the opportunity to meet the candidates running in the 2018-2019 A.S. Board of Directors elections at various events from March 19th to April 9th. To learn more about election events, visit as.sjsu.edu/vote. To read more about A.S. Government, click here . 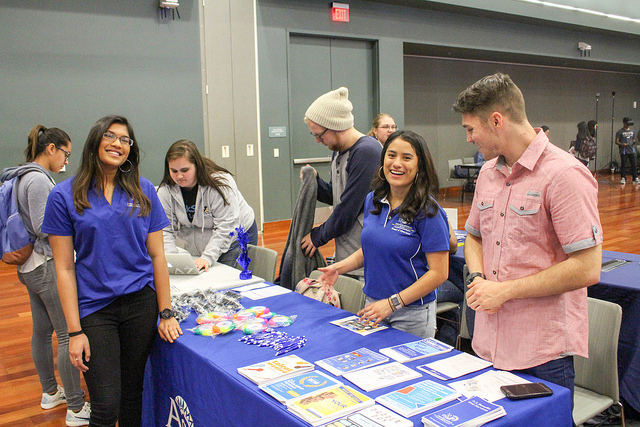 A.S. Student Government Corner is a monthly update from your Director of Communications, Nayeli Lopez, nayeli.lopez@sjsu.edu. The A.S. Board of Directors presented framed copies of A.S. 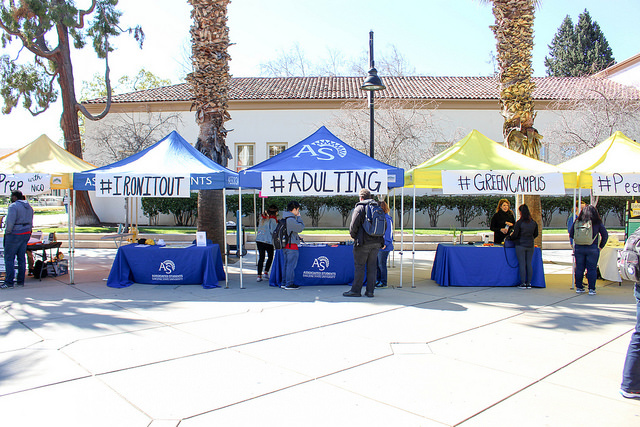 Resolutions passed in 2016 in support of three new student resource centers. 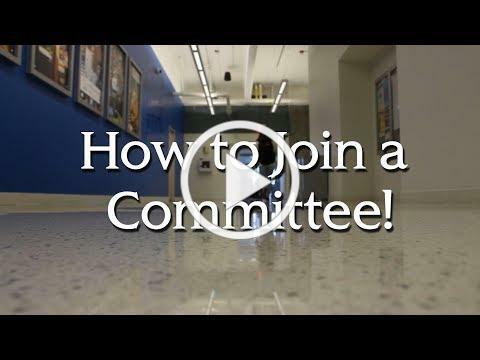 The new program directors were welcomed at the A.S. board meeting held February 28th in the Diaz Compean Student Union. 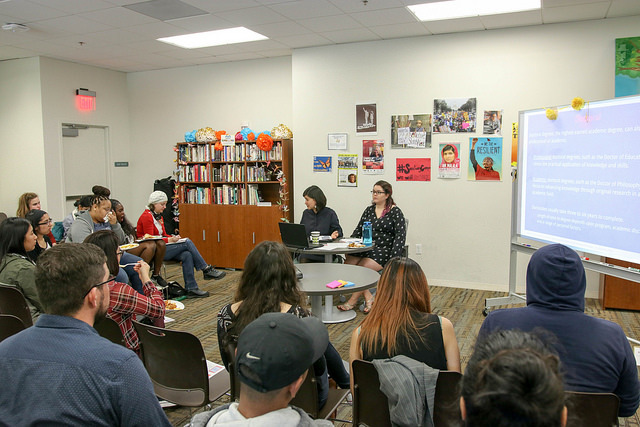 ﻿The new Program Directors are: Paula Powell, African-American Student Resource Center; Anna Navarette Avina, Undocumented and AB540 Student Resource Center; and, Lilly Pinedo Gangai, Chicanx Latinx Student Success Center. The new centers are located in the Diaz Compean Student Union. Help run this spring’s A.S. Elections for the incoming Board of Directors.  Attend an info session! This will be a g reat opportunity to learn about the elections process, support various events, and increase voter turnout! Free food! Questions? 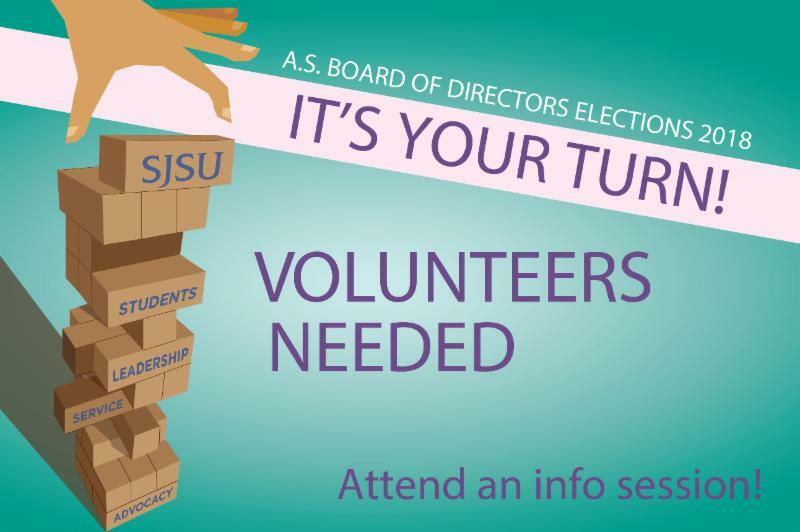 Contact the Students' Election Commission (SEC) at student-elections@sjsu.edu , 408.924.6242 or visit the A.S. House. 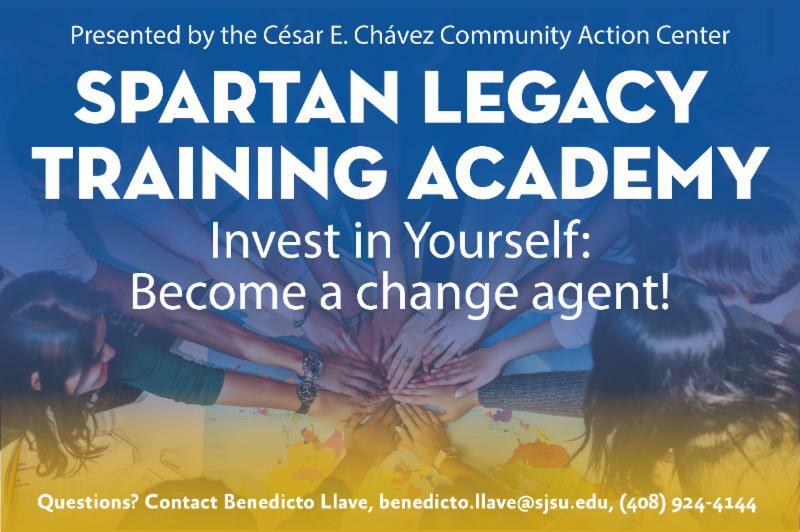 The Spartan Legacy Training Academy is a series of workshops engaging the intersection of social justice and holistic development. Benefits include a Certificate of Completion, networking, and personal and professional development. No RSVP needed. Questions? Contact Benedicto.llave@sjsu.edu , (408) 924-4144 or visit the center at Diaz Compean Student Union, 1st Floor, Suite 1550. 2018 calls for new times of progressive thinking and organizing! Join the CCCAC to discuss new and innovative ways to organize. Prisca Dorcas is the founder of @latinarebels. Questions: Contact CCCAC at as-communityaction@sjsu.edu or (408) 924-4144 or visit the center at Diaz Compean Student Union, 1st Floor, Suite 1550. 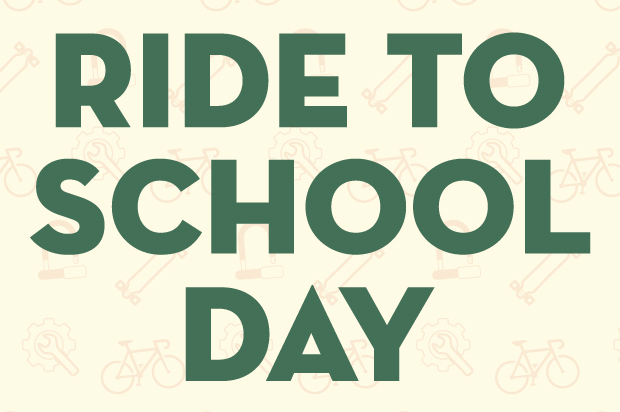 J oin us at this sustainable transportation fair co-hosted by A.S. Transportation Solutions and the Environmental Resource Center, in partnership with Bay Area Air Quality Management District and Silicon Valley Bicycle Coalition. Alleviate local traffic congestion, parking demand, and improve regional air quality. Complete an event passport by visiting at least five booths for a chance to win a pink Cruiser Bicycle. Winner will be announced at the end of the event! Did we mention free food, bicycle tune ups and games? Don't miss out! Questions? Contact Transportation Solutions at ( 408) 942-RIDE or visit the office at Diaz Compean Student Union, 1st Level, Suite 1800. 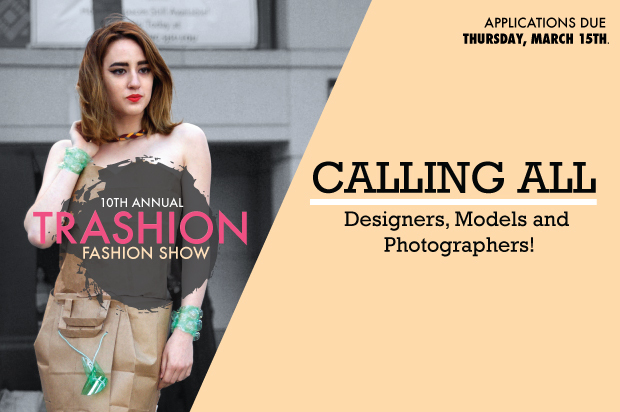 Click here for more information on how to apply or contact Christy Riggins at (408) 924-6240 or christy.riggins@sjsu.edu. 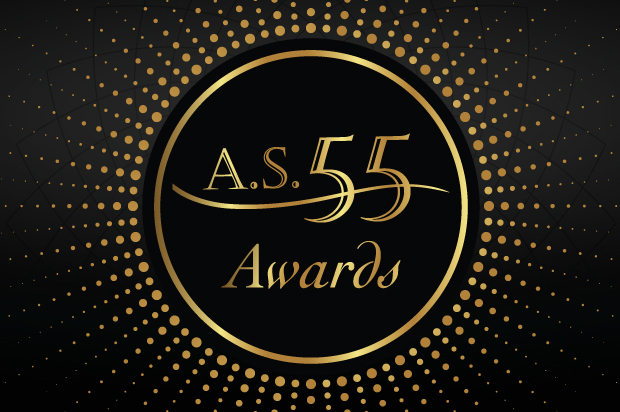 The A.S. 55 award is an opportunity to honor and recognize the unsung heroes that have demonstrated an outstanding commitment to SJSU and the community. Awardees will be recognized at the Student Leadership Gala on May 8th. Questions? Contact Diana Ogbevire, Leadership and Government Coordinator, at diana.ogbevire@sjsu.edu. Fresh fruit, vegetables and groceries will be available! 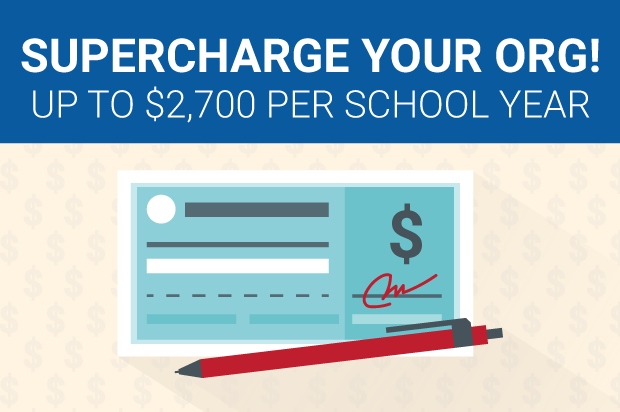 To qualify for this free service you must be a current SJSU student with an annual income below $23,540. Distribution is on a first come, first served basis. Please bring your own bags to pick up the food. 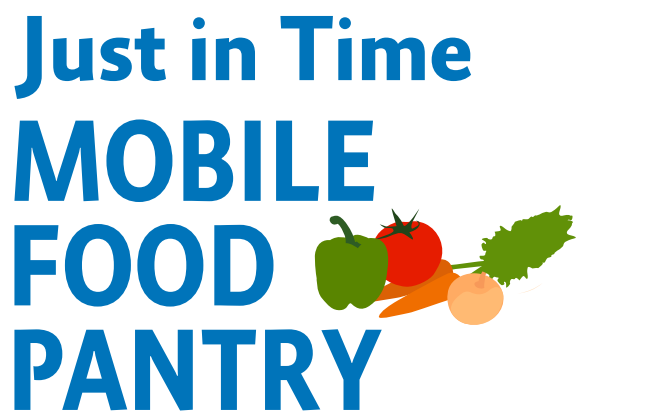 Some food items are perishable and will need to be refrigerated shortly after pick up. Visit sjsu.edu/sjsucares for more information. Is your student org in need of funding? 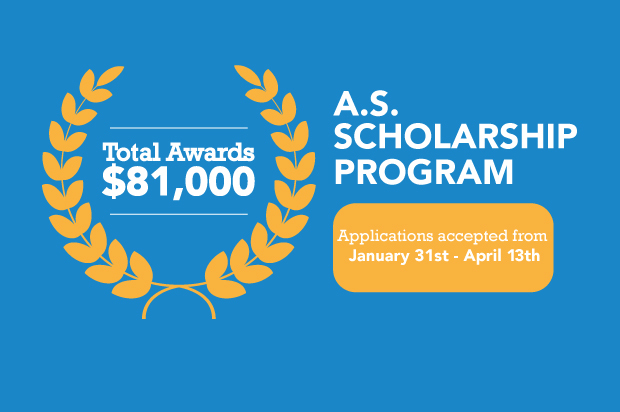 Associated Students offers up to $2,700 per year for your registered student organization! Apply here . Associated Students has a calendar full of events for you. annual Trashion Fashion Show to create awareness for the lifecycle of post-consumer waste and clothing. Application forms available at A.S. House or may be downloaded at as.sjsu.edu. 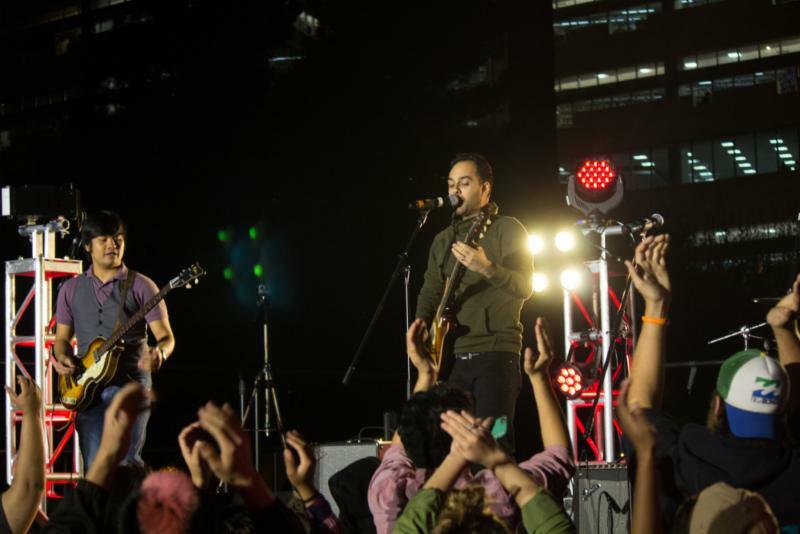 Get ready for a battle of the bands! Watch and enjoy as Spartan musicians jam out to compete for the grand prize. In photo: Last year's winner, Racket City. Questions? Contact Bradyn Miller at bradyn.miller@sjsu.edu . 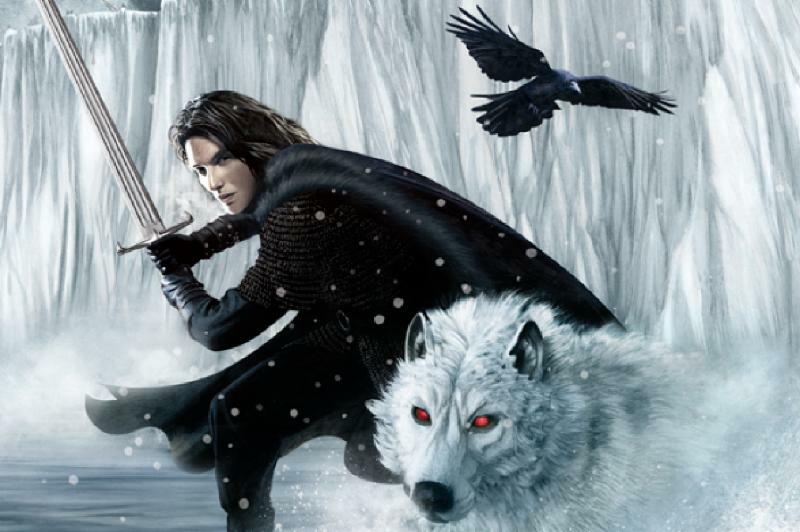 John Picacio has been an acclaimed American artist in science fiction and fantasy over the last decade, creating best-selling art for George R. R. Martin's A Song of Ice and Fire series, as well as the Star Trek and X-Men franchises. 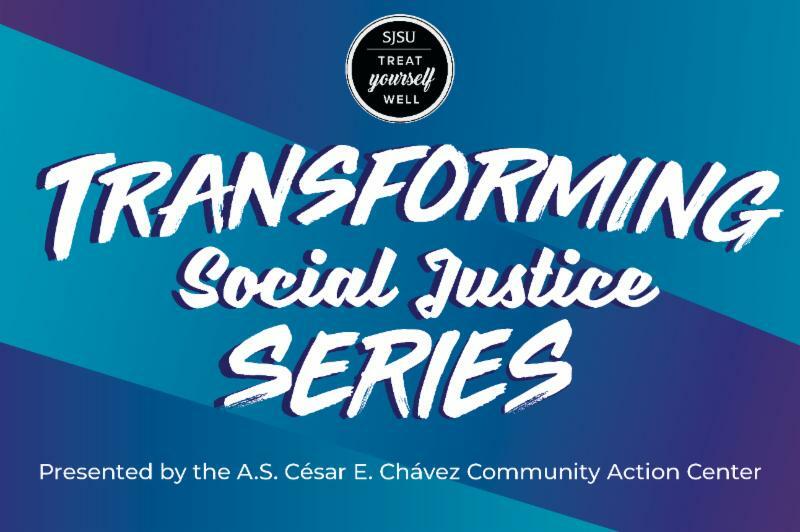 Presented by Associated Students, Cadre Media Lab, Mexican American Studies, Joe West 10 th Floor Global Village, Chicanx/Latinx Student Success Center, and MOSAIC Cross Cultural Center. Did someone say, "That's So Gay?" Let's talk about it! 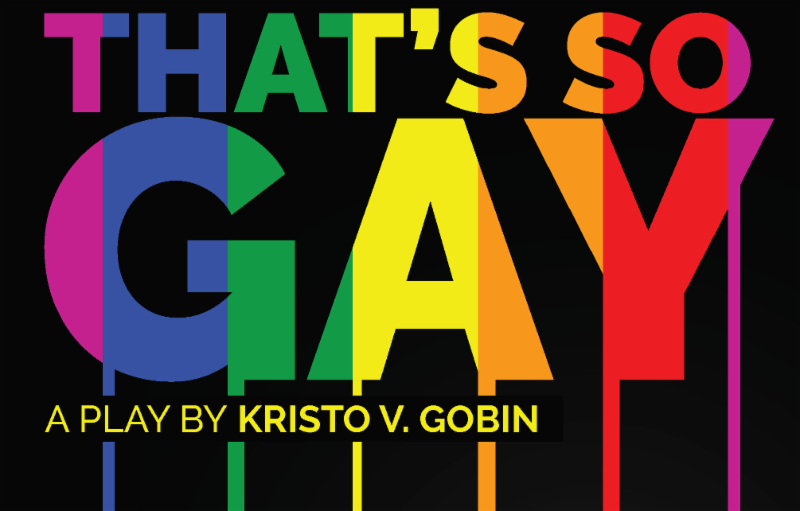 A hilarious one-person performance about the personal and public struggles of coming to terms with one's sexuality. Seating is on a first come, first serve basis. A special gift will be given to the first 20 attendees! A post-performance reception will be hosted at 7pm in CVB RAC room. Presented by Associated Students and University Housing Services. ﻿Is Grad School For You?